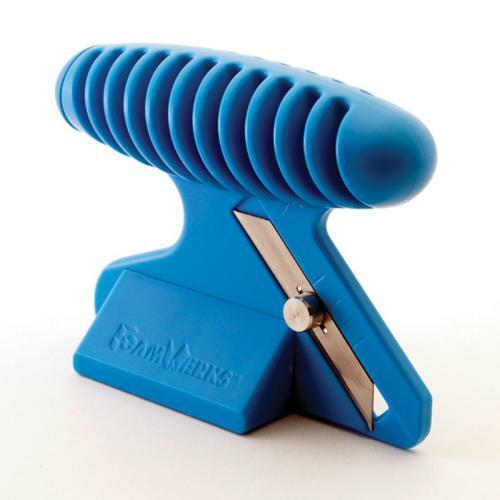 Economy and versatility combine in the FoamWerks Foamboard Straight/Bevel Cutter. Simply rotate the angled base block and Model WC-6010 transforms from a straight cutter to a bevel cutter. Features include adjustable blade depth, ergonomic handle and on-board blade storage. The Straight/Bevel Cutter works with 3/16" foam board. The Straight/Bevel Cutter includes two blades and can be used with any suitable straight edge. Use replacement blades WC-5, WC-20 or WC-50.